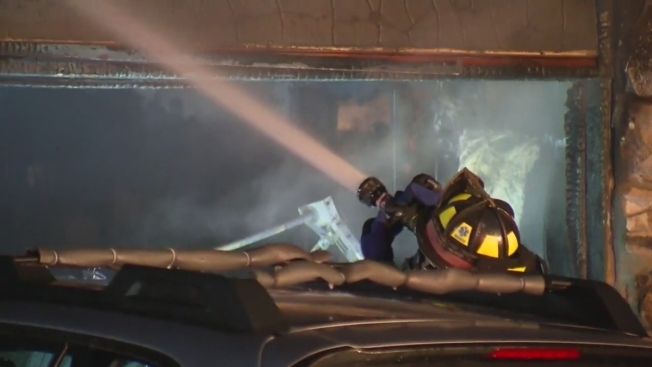 Firefighters in Cupertino on Sunday knocked down a garage fire before it could spread to the rest of a home, a fire official said. The blaze broke out at a single-family home around 4:40 a.m. along Craig Court, Acting Santa Clara County Fire Department Battalion Chief Mark Shumate said. A neighbor noticed the flames and knocked on the family's door, allowing two adults and three children to escape unharmed, Shumate said. The blaze was knocked down in roughly 30 to 45 minutes, according to Shumate. The cause of the fire is under investigation, Shumate said.